ZTE has confirmed that its devices are safe and that they do not pose a threat to US telecoms, in an attempt to quash the recent negative press surrounding the brand. We reported yesterday that the US Intelligence Committee said both ZTE and Huawei handsets should be banned from the United States of America, as the Chinese mobile manufacturers posed a threat to national security. Both firms we quick to rebuff the claim, with Huawei stating the allegations were "baseless suggestions", while ZTE said it "profoundly disagrees" with the report, and now the latter has revealed more information on why it's tech is safe for US consumption. The company states: "ZTE's Equipment is safe and poses no threat to US telecommunications infrastructure". The Chinese manufacturer has provided evidence of its safety to the US Committee, claiming: "ZTE has presented the Committee with ample facts that demonstrate ZTE is China's most transparent, independent, globally focused, publicly traded telecom company." Among the range of facts presented to the Committee, ZTE pointed out it was already "recognised as a Trusted Delivery Partner by 140 governments and 500 network carriers" and "has an unbroken history as a commercial telecom technology innovator for three decades." 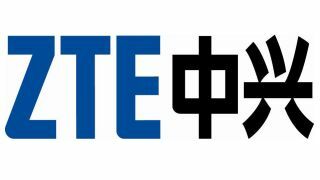 ZTE has suggested that the US Intelligence Committee should broaden its investigation to all manufacturers who have devices produced in China, as that "is the only way to truly protect US equipment and US national security."